The services provided by Polich Excavating & Plumbing are overseen by a Master Plumber (#MPRS 251401), which means your work is done according to code and done right the first time. Polich is located in Egg Harbor in northern Door County, Wisconsin, but serves the entire Door peninsula and the connecting counties of Brown and Kewaunee. 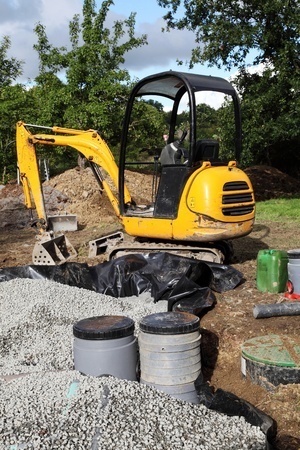 If you need a septic system installed or repaired, Polich Excavating & Plumbing can be counted on to do soil testing, excavating, installing the drain field, and making sure the system performs as you expect. 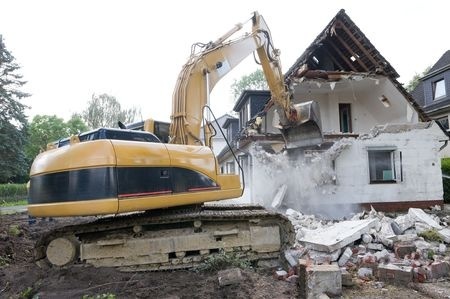 When you need a construction site prepared, a basement dug, or a septic system installed, count on Polich Excavating & Plumbing to get it done without wasted effort. Thy also do blasting when needed. If you are looking at property in Door County, you need a person with experience and knowledge of the area and what types of soils and the lack thereof are involved and what it takes to get the job done. Among the other services we offer you are shoreline work, storm sewers, water laterals and basins, ponds, driveways, parking lots, trucking for gravel, sand, or topsoil. Whatever you need to get your job done, you can count on Polich Excavating & Plumbing to meet your requirements in Door, Brown, and Kewaunee counties. Polich also does trucking and hauling of aggregate, fill, top soil, crushed rock as well as digging ponds and more. Call Polich Excavating & Plumbing at (920) 493-7043 and let us take care of you.